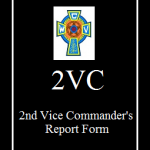 Below are items that can be useful to you as a member or an Officer of the Catholic War Veterans and the Auxiliary. These are in PDF format, so you will need Adobe Reader to open these files and to preserve the ability to fill in and save any forms that you type information into. The use of a different PDF Reader may remove the ability to save your typed information. Click the image below to download the latest version of Adobe Reader. 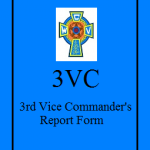 The semi-annual Report form that CWV and AUX Officers are to submit to all higher Echelon Officers. Officer Activity Report Forms are commonly used items. For your convenience, these forms can be accessed by clicking on the icon below for the Report form you need. 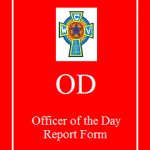 Officers Manuals: Descriptions of duties and responsibilities of each Officer position. 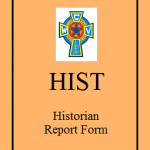 Podium Edition – contains ALL the Ritual and Ceremonies of the CWV. Order through the store. Pocket Edition – contains the most commonly used Ritual & Ceremonies. Can be ordered through the store.